This is a Japanese SHIGARAKI ware vase. 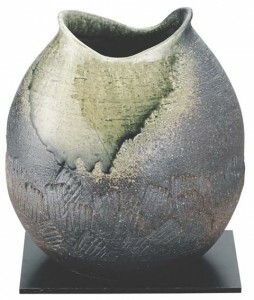 Shigaraki ware is pottery and stoneware. It’s made in Kouka area in [W:Shiga Prefecture]. Shigaraki ware is famous for raccoon statue.